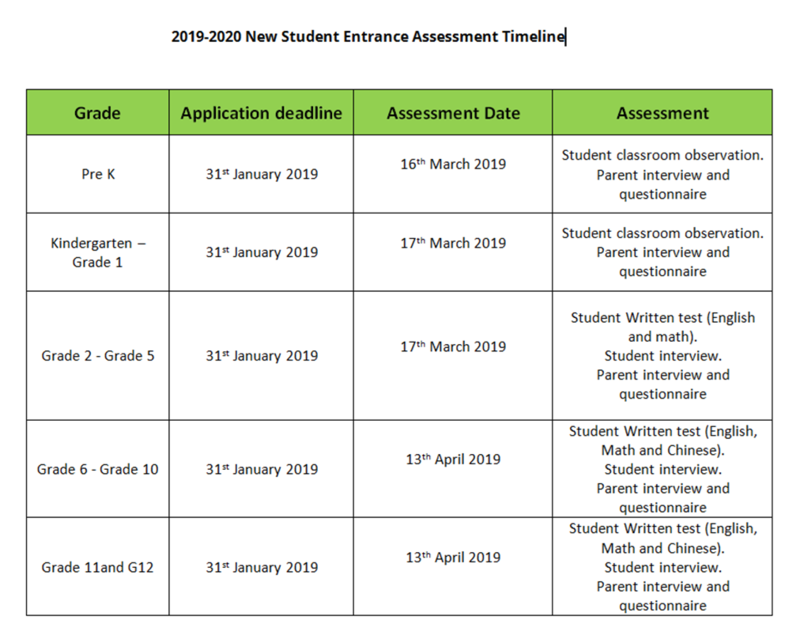 Please find below the timeline for 2019-2020 New Student Entrance Assessments. SWIS strongly recommend early application due to our limited spaces and small class sizes. Applications submitted after the specified deadline will not be invited to the 2017-2018 Entrance Assessment Day listed above. Late applicants are advised to consult Admissions Office before filing application. We accept students throughout the year, although places are subject to vacancy.